Well its been another good week on the running front. I've stuck the my training schedule religiously and feel fantastic! 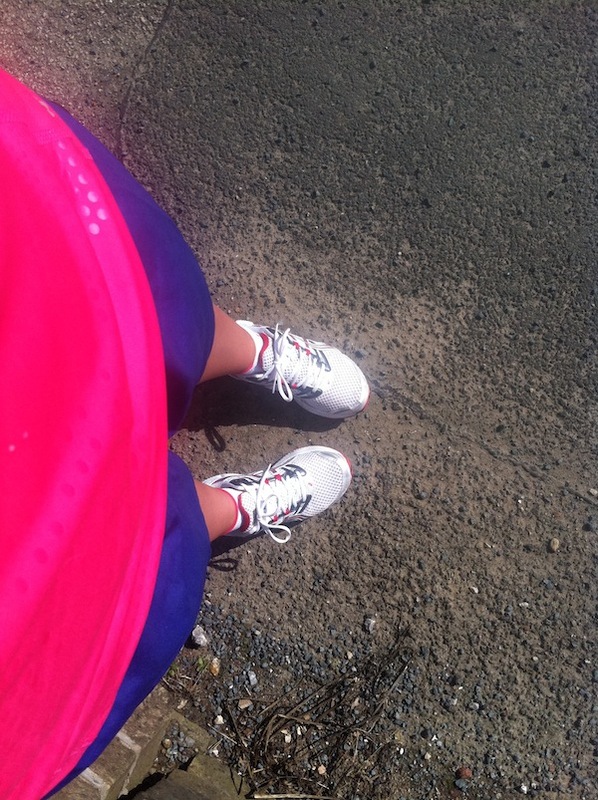 I've also ran outside for all of my runs this week and I really do prefer it now! I was put off by the fact that on my frist ever run outside when I started my training I threw up at the side of the road. Classy! 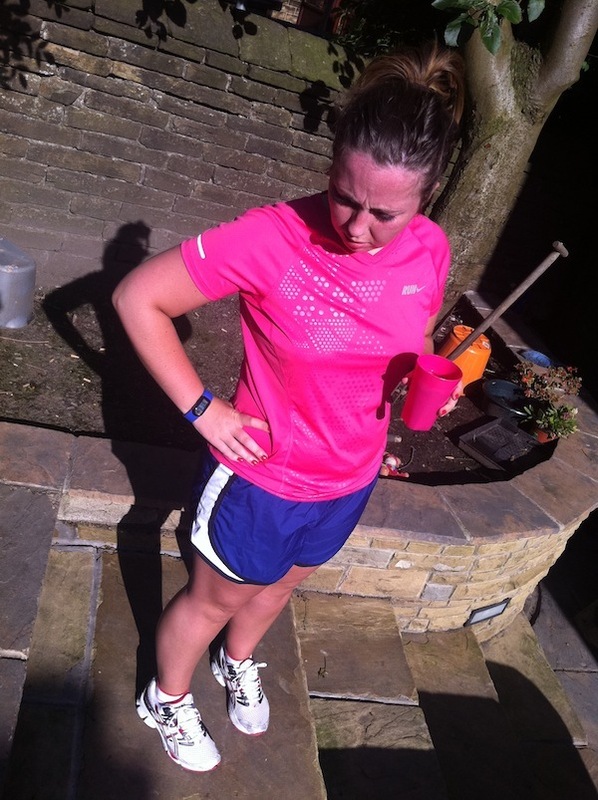 I kind of associated running outdoors with throwing up, but this week when I headed out I absolutely loved it. The miles actually become "real" when you run outside. That may sound strange but it really is true. The only thing is places aren't as far away as I think so my runs havn't been as long as I'd like. For example my dad drops me off at a location quite far away from home, and I think it will take me at least 30 minutes to get home. In reality it only takes like 15-20 minutes, so I need to somehow work out how many miles a given route is before I set off. I took lots of photos to share with you whilst I've been running outside. 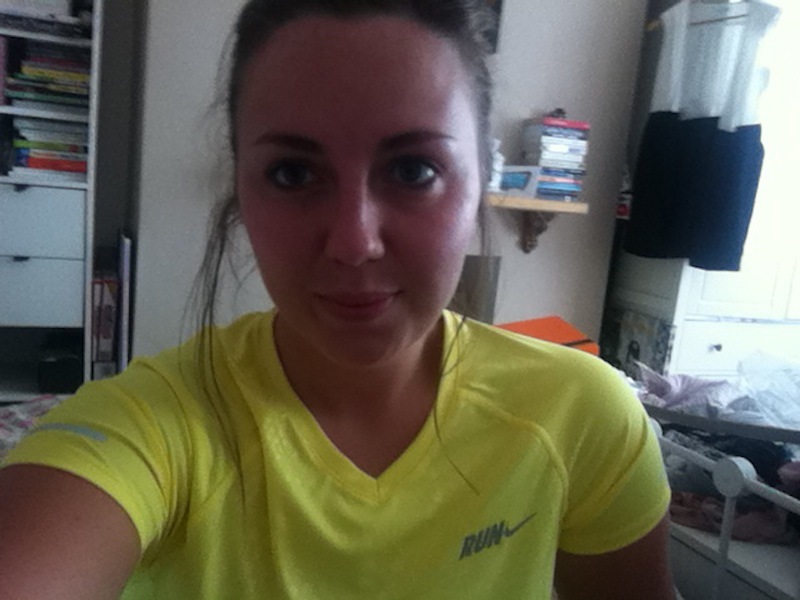 I also received a special parcel from Nike this week, a lovely running top and a Nike Sport Wristband. I can't wait to get my nike Plus trainers, but until then the lovely Sam (one of the girls on the Team Bangs on the Run 2 team sent me a pouch to put the trainer chip in so that I can use it with the wristband. I also bagged myself some running shorts in the sale for £7.99 what a bargain! Its the first time I've worn shorts in public when not on holiday for god knows how long! All in all another fantastic weeks training. I'm going to really go for it next week and try get some longer runs/routes in. I've been trying to uploaded my current running playlist for you to download but I've been having trouble doing it. I tried on soundcloud but it failed the first time and then only uploaded 5 of the 20+ songs! This is great news. Congrats on achieving your second week. I am rubbish at running but you are starting to make me feel I shouldn't give up. You are looking amazing Kelly. You are most definitely toning up! Your fitness and running post are so inspiring. I wish you all the best. I can't wait to see your running playlist, I just listen to whatever when I'm in the gym and find it difficult to have a few songs which I specifically use! WOW, that countryside is beautiful. Do you mind my asking where about in England you live?? You seem to be doing really well with your running. Good luck with the marathon. think i need to start running, keep putting it off. Why don't you plan your runs on mapmyrun.com?